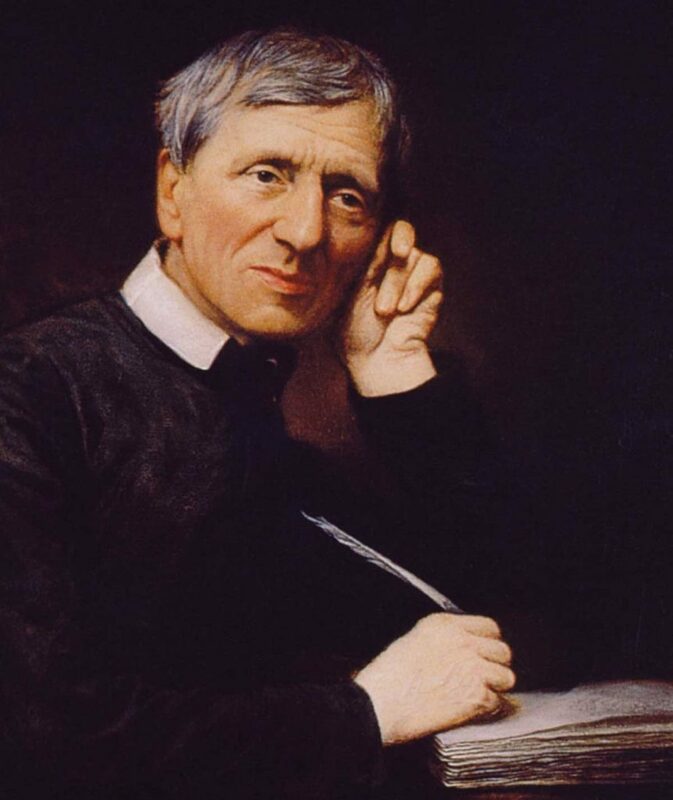 John Henry Newman was born in London on 21st February 1801, the eldest son of a London banker. His family were members of the Church of England but without any strong religious commitment. The young John Henry learned at an early age to love the Bible and enjoyed reading it. In 1808 he was sent to Ealing School and it was there at the age of fifteen that he underwent a profound religious conversion to what can fairly be described as evangelical Christianity with a strong anti-Catholic bias. In 1817 when he was sixteen he entered Trinity College, Oxford as an undergraduate. Five years later he was elected to a Fellowship at Oriel College. He was ordained as an Anglican clergyman and worked first as a curate in the Oxford parish of Saint Clement’s, and later became vicar of the Oxford university church of Saint Mary the Virgin. His spiritual influence there on parishioners and members of the university was substantial, especially through his preaching. At the same time he was also working as a college tutor. In 1833 he went on a tour of the Mediterranean with a friend who was in very poor health. While in Sicily he himself fell seriously ill with fever. He recovered and was convinced that God had spared him to perform some special work in England. On his return home he eagerly became a leader in what came to be known as the Oxford Movement, an Anglican movement which aspired to combat three evils which its members believed to be threatening the Church of England: spiritual stagnation, interference from the state, and doctrinal unorthodoxy. When studying the history of the early Church Fathers, Newman was perturbed to discover that the doctrinal position of the Anglican Church in his own day bore a close resemblance to some of the heretical currents that had emerged in the theological controversies of the early centuries. He was even further disturbed a few years later when a number of Anglican Bishops and scholars denounced some of his own writings. He began to question his membership of the Church of England and his leadership of its Oxford Movement. He withdrew from Oxford in order to think and pray. Together with a few companions he moved to modest lodgings in the village of Littlemore just outside Oxford. For three years he lived a quasi-monastic life there, praying for guidance. By 1845 his mind was clear, and on 9th October that year he was received into the Roman Catholic Church by Father (now Blessed) Dominic Barberi. By the grace of God Newman had at last found his way out of shadows and images into what he now professed to be ‘the one fold of the Redeemer’. His conversion to Catholicism meant ostracism by many colleagues and friends and some relatives. He went to Rome to study for the priesthood and to discern his future. He was attracted to the Oratory of Saint Philip Neri, a Congregation of priests and brothers founded by that saint in Rome in the sixteenth century. Newman became an Oratorian and in 1848 he established the first English Oratory at Maryvale near Birmingham, moving soon afterwards to Alcester Street near the town centre, where he converted a disused gin distillery into a chapel. Three years later the new Oratorian community moved to its present home in Edgbaston. In 1851 the Bishops of Ireland decided that a new university should be established in Dublin specifically for Catholics, and they invited Fr.Newman to become its founder and first rector. It was a demanding task for a man in his fifties, and he was obliged to make fifty six crossings to and from Ireland in seven years. The institution he established is known today as University College, Dublin. Back in England Newman’s life was not easy. He faced many misunderstandings and was sometimes the object of resentment, and was even suspected of doctrinal unorthodoxy. Several projects which he embarked upon ended in rejection or failure. These included a magazine for educated Catholics, a projected Oratorian foundation in Oxford, and a new English translation of the Bible, none of which succeeded. During his old age he continued quietly in the Birmingham Oratory which he had founded, devoting his time to preaching, writing, and spiritual direction. In 1879 when Fr.Newman was seventy eight, Pope Leo XIII made him a Cardinal of the Holy Roman Church, as a tribute to his outstanding erudition and piety. During the years since his conversion he had endured many personal sleights and had been the object of rash judgements. The news that he was to be a Cardinal came as a conclusive vindication of his orthodoxy and loyalty to the Catholic Church. He himself declared ‘the cloud is lifted for ever’. His Eminence the Father died in the Birmingham Oratory of pneumonia on the 11th of August 1890. 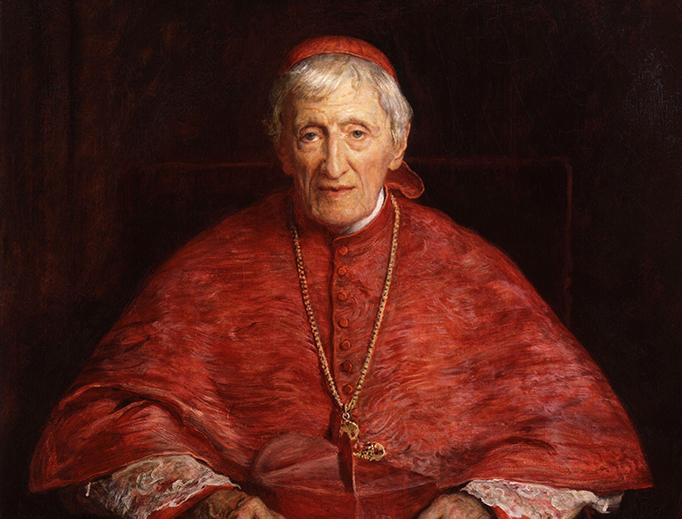 In 1991 John Henry Newman was proclaimed ‘Venerable’ by the Congregation for the Causes of Saints. The title of Venerable is the Catholic Church’s official recognition that someone has lived to a heroic degree the theological virtues of faith, hope, and charity, and the cardinal human virtues of fortitude, justice, prudence, and temperance. In 2009 the Holy See confirmed the miraculous cure in the USA of a man studying for the diaconate, Jack Sullivan, who was suffering from a crippling spinal disorder. Through the intercession in heaven of Cardinal Newman he was cured and able to pursue his vocation. That miracle paved the way for John Henry’s beatification. On 19th September 2010 Pope Benedict XVI beatified him at Cofton Park in Birmingham. 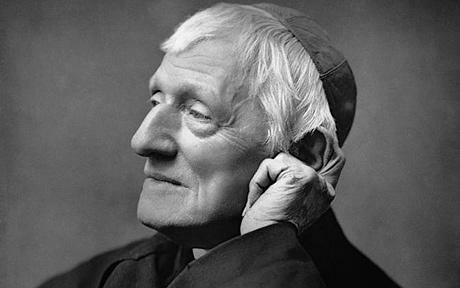 In 2010 prior to the beatification ceremony, Newman’s coffin was exhumed from his grave in the Birmingham Oratory’s cemetery at Rednal. It was discovered that the coffin and his body had completely decayed during the time since his burial there in 1890. The very few relics of him that remain are lovingly preserved in a modest casket in the chapel which has become his national shrine, in the church of the Birmingham Oratory. In February 2019, Pope Francis authorised the Congregation for the Causes of Saints to issue a decree attributing a miracle to the intercession of Bl. John Henry Newman. His intercession was attributed to the medically inexplicable healing, in Chicago, Illinois, of a pregnant woman with life-threatening complications due to her pregnancy. This move cleared the final hurdle in the cause for his canonisation. His feastday is kept on the 9th of October each year, the anniversary of what he referred to simply as ‘my day’; the day of his reception into the one true fold of the Redeemer, the Catholic Church.